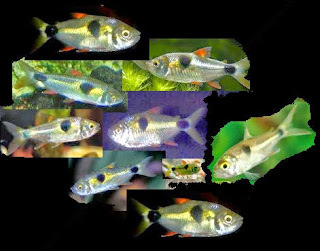 Bucktooth tetra is a large tetra fish with a two distinctive black spot one under the dorsal fin and one near its tail. Bucktooth tetra is a aggressive fish and occasionally they tend to eat scales of large fish make them a bad option for community tank. So to reduce its aggression keep them in large aquarium with heavy plants with small group of 6 to 10 in group. Like other tetra fish Bucktooth tetra fish prefer slightly acidic water for optimum health conditions. Intermediate. Schooling Fish should be kept in 3 – 10 in numbers. And should be kept in large tanks or with other active tetra fish with lot of hiding place.